There are so many camping essentials to choose from that you may find yourself confused and overwhelmed during the process of shopping and planning for your next camping trip. While there are things to plan like the food menu and what to pack, there are other decisions to make regarding the sleeping arrangements. You may ask yourself if you want to carry and set up a tent or maybe settle for something that is easier to travel with and does not require much time or skills to set-up. 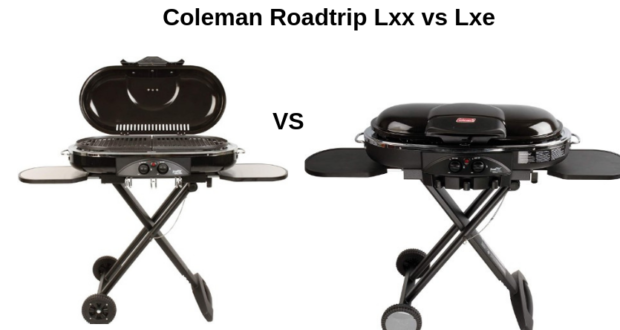 If the latter got your attention then what you need the best camping cot. These items are not only easy to use but are light in weight and also much safer than sleeping bags as you sleep on an elevated surface, away from the ground that could be home to insects and other unclean elements. If you are interested in purchasing a camping cot then you are reading the right post because today we have compiled a list of 6 of the best camping cots which you can buy. For more information on camping cots are sure to read our buying guide below so you can make the right decision when choosing a product out of the ones listed or any model in general available on the market. What is Camping Cot and Why you need a camping cot? Must-Have Features of the best Camping Cot. A camp bed is a smaller, portable and lightweight where a larger permanent bed cannot be used can be defined as a camping cot. Usually, when it comes to camping or hiking, the first option for comfort people have is to get a tent. If not a tent then a hammock. Most of the times these two options tend to work well. But what if you want neither for a change? What if you don’t want to sleep on the ground or hang in the air for your next trip? And of course, what if you don’t even have the right circumstances to hang a hammock or set a camp? In this case, a camping cot will help you out. Neither does it need to be directly on the ground, nor does it require to be hanged with the help of trees. For places scarce of dry land and/or sturdy trees, a camping cot is the best option. Camping cots come in different sizes and weight limits, which make it perfect for using, especially if you are a solo traveler. Not to mention that most camping cots are also made to be lightweight so it gets easier and much more comfortable for users to carry along with. If you’re still not convinced of the benefits a camping cot has, read on to know the great features of it! There are thousands of camping cots are available in the market. As you and we all know that they all are not the best. In this article, we try to bring the top 6 best camping cot, that may help you to get the best one for you. A comfortable and portable camping cot made of high-grade aluminum and 600 denier polyester. The cot can be used for camping as well as at home and for emergency purposes. The main fabric is water resistant which means that it can withstand any climate changes and will not be damaged if it comes in contact with moisture. The steel frame is sturdy and can accommodate a weight of up to 250 pounds. This is a single person cot with a measurement of 75’’ x 26’’ x 16’’ and a weight of around 13 pounds. For easy setup and transportation, the cot folds into a compact structure and stays in place with a Velcro wrap closure. Here is the second best camping cot. The Coleman ComfortSmart Cot comes to its own foam mattress pad that makes sleeping on this cot super comfortable and fun. The coil suspension incorporated in the design provides users with almost the same comfort and quality which you would get from your bed at home. 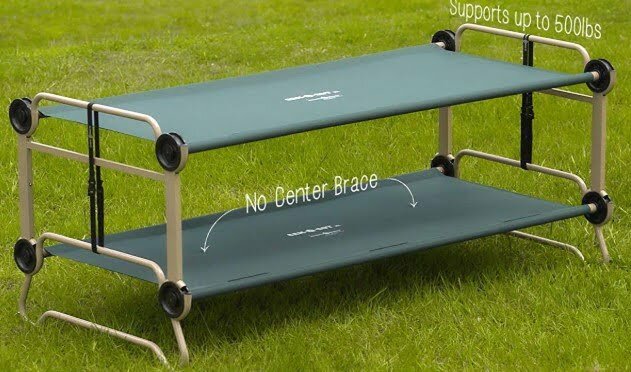 Adults weighing up to 300 pounds with a maximum height of 6.6 ft can use this cot inside their tents or even on open ground while sleeping under the stars. The folding frame is made of steel and is wider than your traditional single person cot which makes it perfect for people with large frames. We recommend this for solo travelers or even for home use when you need an extra bed for a guest which you can fold up and store away after use. 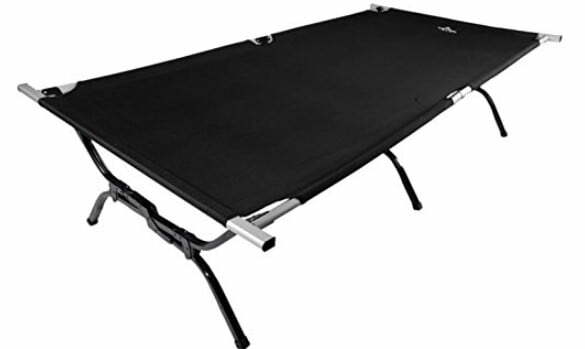 When it comes to camping cot reviews for when traveling by car, the Outfitters XXL offers enough space for two adults to comfortably share the sleeping surface of 85’’ x 40’’ x 19 ‘’. The bed is made of heavy-duty 600D Poly Canvas that can accommodate the weight of up to 600 lbs (272 kg), so you don’t have to worry about damaging the fabric or any accidental tear. With an aluminum frame and reinforced steel legs, the cot is designed to balance well on any ground and provide you with a strong and sturdy base to sleep on. Although the cot is totally collapsible and easy to store, it still requires a bit of planning on where to place it as it is quite large in size and will need to be transported by car. Bunk Cots are great for when you need two separate beds which you can easily assemble and fold up when not in use. The Disc-O-Bed consists of two cots which can be used side by side or in bunk style- each cot comes with its own carry bag for easy transportation. The cots also have side organizers that can be used to store essentials and keep them within hands reach. If used inside a tent, these cots will help keep the interior tidy and clutter free. Set up is also quick with no tools or screws required. Wondering whether to invest in a tent or a cot? Why not go for a tent cot instead? 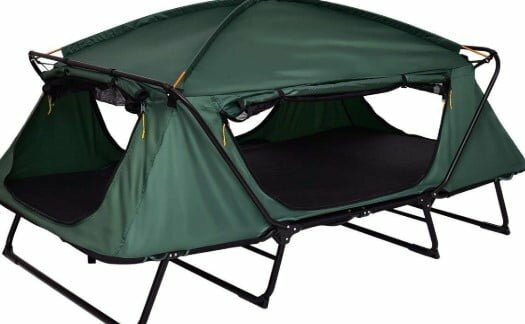 This tent cot gives you the best of both worlds and also offers you a unique sleeping experience while keeping you elevated and safe from the unpleasant elements of nature. With a lot of head space and a sleeping surface, you will probably want to spend more time inside than outside the tent cot. With a quick set up and all over rain cover, this product will protect you against rain and bugs while providing you with amazing ventilation. This is a 2- person tent cot that works great for camping and outdoor events when you need an elevated sleeping platform as well as a good all-round shelter to protect you from outside heat, wind, and rain. You can use the cot on its own if you prefer to sleep in the open air or use it with the tent when you need some extra coverage. With large D-shape screened doors you can get in and out of the tent and zip up to keep bugs out and the air flowing. There is a weight limit of 500lbs that is supported by the sturdy aluminum frame and strong bed fabric. You can fold up this lightweight tent cot and take it anywhere with you, making it ideal for family outings and adventure trips. This is a crucial feature of any camping cot because this determines how convenient and compatible your choice of the cot is with your style of camping and the area where you are settling. As we mentioned before, camping cots can be of a lot of different sizes. Mainly, there are two sizes; single and bunk cots. 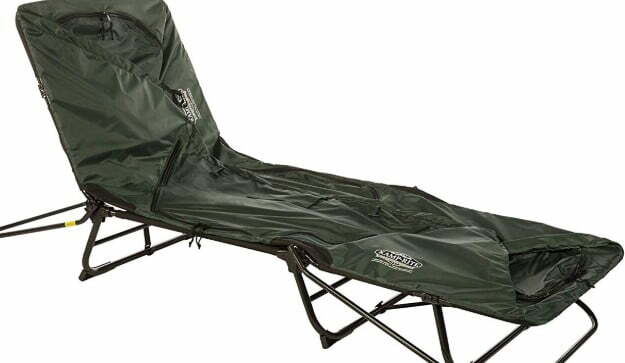 Single cots are obviously great for solo campers, but they also can be found in large size options which allow two people to easily fit into without any difficulties. On the other hand, bunk cots are better if you’re traveling with a companion or you have kids along. Some camping cots are very easy to assemble, that is they can simply just be folded in and out without any tying or locking to do. Other cots require to be threaded over the main covers and locked into designated places. So it is wise if you research about your choice of a cot and its assembly features beforehand. 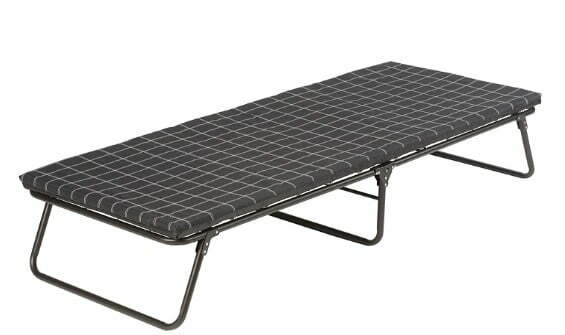 Naturally, camping cots are made to be sturdy so they can withhold extra weight without any difficulty. Almost all the time, general camping cots can hold up to 300 pounds, but some of the larger than usual cots can even hold up to 600 pounds with ease. If you have a mode of transport to your camping areas such as a car or a van, it won’t be a problem to carry large camping cots with padding, because most of the times, the big cots are relatively heavy and not made to be carried out in a storage bag. But there are still plenty of lightweight cots also smaller in a frame, which is made with portability in mind so they can be folded and carried. As we mentioned above, you just have to research on your cot of choice before you purchase it. Amateur camper or a pro, it is obvious you’ll want a camping cot that lasts you for a long time, if not forever. With that keeping in mind, you’ll have to look for durable and sturdy cots that can withstand rough usage. Firstly, you have to look at the quality of the cot frame. Usually made of either aluminum or steel, aluminum is more lightweight which is good for portability. Steel may be a bit on the heavier side, but it is also sturdier and can hold up more weight. Secondly, we have the cover of the surface on which you can sleep. You can get these fabrics either in cotton, nylon or polyester. Cotton is much gentler on the skin but it can get hard to clean and can also get torn very easily. For this reason, we recommend you opt for either of the latter, that is nylon or polyester. Fabrics as such are usually waterproof and rip resistant to a certain degree. But all this also depends on the handling if the user. Most cots do not come with padded mattresses, only with a cover and frame instead. These types of cots are also lighter ones. Hence, if you want more comfort, then go for the slightly bigger and heavier ones with equipped padding atop a coil suspension. This ensures more durability. Obviously, bad quality camping cots will have bad folding systems thus making screeching noises and such. But good quality cots, as in the ones we have reviewed here for you are mostly noise proof, ensuring you a comfortable experience even while setting up the cot itself. First and foremost, it can get slightly dangerous. Supposedly, your cot can break down due to weak frame and inadequate load capacity. Another thing is that if your choice of cot cover isn’t water resistant and you’re camping in a moist area, it can get downright uncomfortable to lie on. Coming to size, if by chance the camping cot you purchase isn’t adequate for even one person in length, it is surely embarrassing if you are traveling with a companion or kids. This is why it is very important to get the proper size cot, either single but large, or bunk. Now for ease of assembly, suppose the cot you have chosen is a large one with a bunch of features that look promising. But now that you’ve bought it, you cannot assemble it without having to sit back and contemplate on the next step every five minutes. It can get annoying and ruin the whole experience of camping. Portability is an essential part of camping. If you cannot take your camping equipment alongside with you, then what is the point of camping at all? A good camping cot feature is to be easy to carry along and set up in almost no time. Last but not least, noise proofing is an essential feature for good camping cots. A bad quality camping cot will creak and screech while being set and even after it has been settled onto the ground. And this can not only turn your camping experience to be bitter but also create unnecessary noise in a peaceful environment. Here is the short video about the camping cot reviews. Having the right sleeping gear is important when camping because without a good night’s sleep you will not be able to enjoy your time exploring the beauty of nature during the day. In our opinion all the camping cots work extremely for outdoor activities and depending on whether you need something light enough for easy transportation or with a tent around for maximum protection, you can pick any one of the listed products above without hesitation. Because here we talk about all the best camping cot. Also, read our new article about the instant tent.